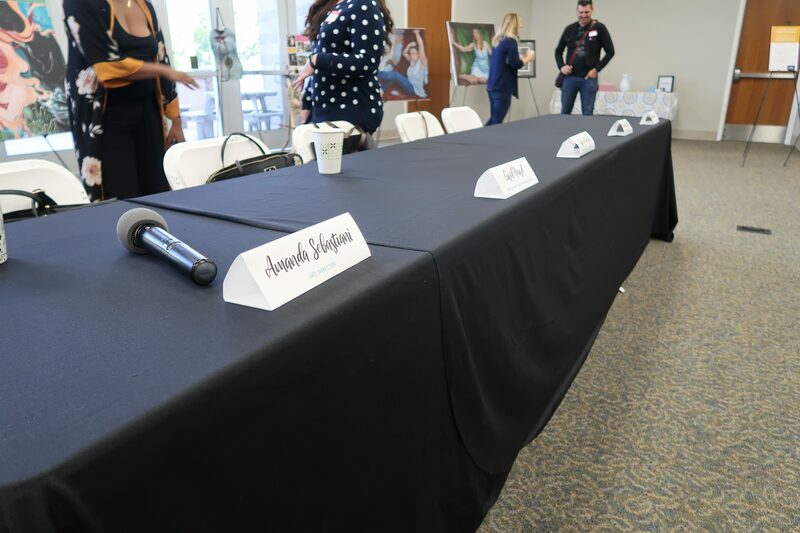 Each of the five panelists were creative directors in the design industry, with stories to tell of their roads to leadership. Each panelist shared how they came to a position of leadership as well their unique thoughts on the importance of diversity (gender and race alike) in such positions. 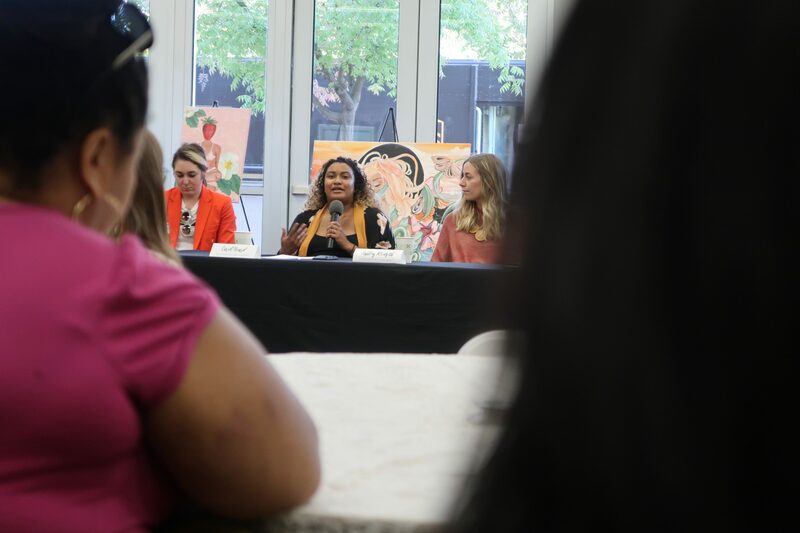 Panelists discussed how surprisingly under-represented females are at the higher levels of leadership, especially in a female-dominated industry like Graphic Design. With a scale-tipping 60.4% of graphic design degree-holders identifying as female, why are we not seeing that reflected in our leadership? Why are only 11% of leadership roles filled by women? What challenges are there for women looking to achieve those roles? How can we encourage current and upcoming professionals to be mindful of this gap? 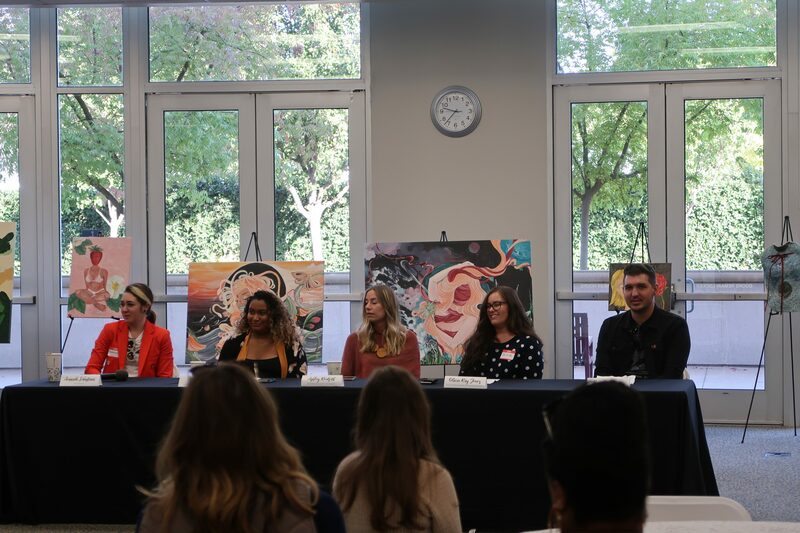 Female panelists discussed their unique challenges in pursuing a leadership role, and Bennewitz, the sole male panelist, recounted witnessing challenges his female coworkers endured. Takeaways from the event for us were many. One that stood out most was the importance of mentorship, not only for leaders but for fellow designers who are too often pitted against one another in a competitive fashion. This means both women and men encouraging female designers to pursue the highest possible rank, and passing on the knowledge gained from climbing the ladder to those on the lower rungs. Not surprisingly, the answers came loaded with tons of gendered expectations. One female answered if she could change one thing about herself, she would be more assertive. Several other females commented in agreement, cringing at how normal it was for women to feel the pressure to be more assertive in order to be better suited for leadership. Word Association: Female, Male or Neutral? 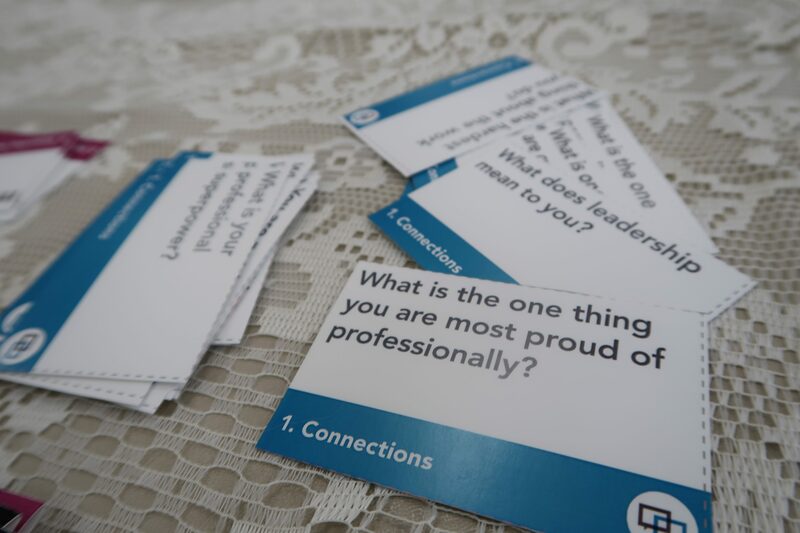 In this exercise, participants paired off and were given a stack of flashcards with completely random words to quiz their partner. Does the word shown feel female, male, or neutral? Words like “brave,” “angry” and “conquer” garnered a lot of “male” responses, while other words like “hope,” “peace” received more “female” responses. 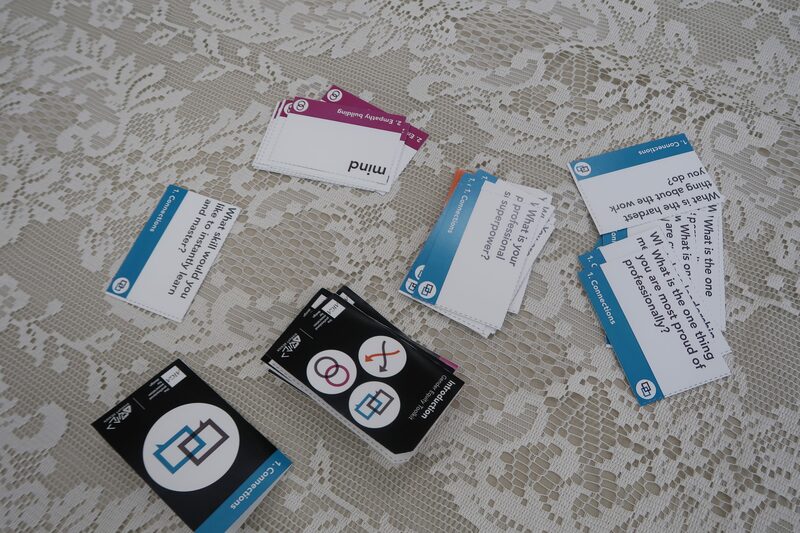 People tended to stay neutral on words like “utopia” “hands” and “surgeon.” The exercise was an eye-opening look at how even simple words carry connotations of and associations to gender. This challenge was indeed challenging! Two participants sat at the front of the workshop, one playing the role of the boss, and the other as the employee. The challenge for the employee: Ask for a raise. The challenge for the boss: Say no five times. Each round grew increasingly more difficult for both participants, with both learning how to stand solid when challenged but also how to communicate and negotiate. This exercise felt especially useful, with the ever-looming issue of gender pay-gap on the minds of attendees. Additionally, females in active leadership positions have issues of their own, particularly with how they come off to others. Many women feel that appearing cold-hearted or uncompromising—a trait men are continuously heralded for—can make them polarizing to others. Many women are tremendously compromising in fear that they will rub folks the wrong way. The dilemma women face with toeing the line of assertiveness can often be stifling. 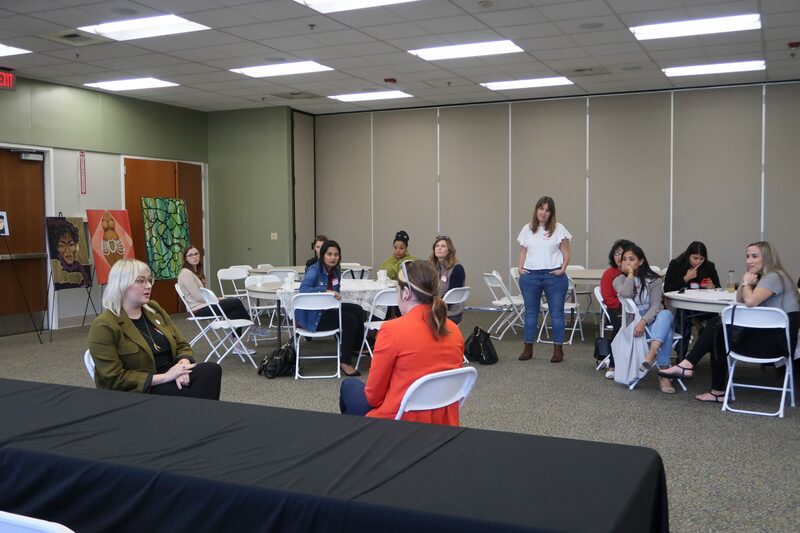 The workshop and panel helped to emphasize the fact that gender stereotypes and disparities are still prevalent, even in a female-dominated industry like Graphic Design. However, it was also a nice reminder of the attainability and benefits of female leadership. While women in design might struggle to find those “ins” and salary boosts, women and men alike can provide support and understanding to help achieve gender parity.